7.30pm Wed 14th May Oxton Village Hall (Sylvia Bell Room). Behind the scenes at Chelsea: How NTU Brackenhurst won ‘Gold’ twice! 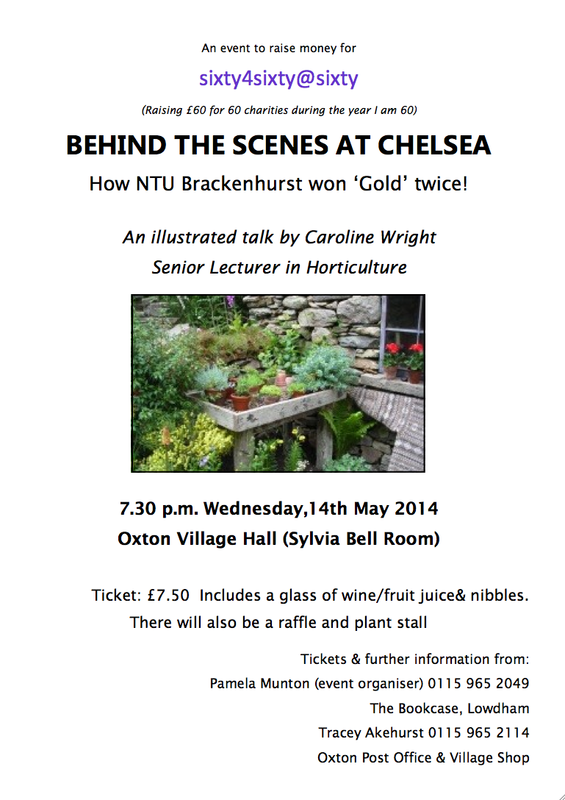 An illustrated talk by Caroline Wright – Senior Lecturer in Horticulture. Do come along to this informative and social evening and help raise funds too for Pamela’s Sixty4sixty@sixty endeavour to raise £60 for 60 charities during the year she is 60!